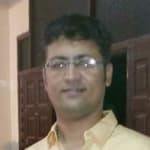 Dr. Mukesh Asrani is one of the best Dentists in Khokhra, Ahmedabad. He has been a successful Dentist for the last 14 years. He is a MDS - Oral Medicine and Radiology, BDS . You can visit him at Dr Asrani's Rudraksh Dental Care in Khokhra, Ahmedabad. Book an appointment online with Dr. Mukesh Asrani and consult privately on Lybrate.com. Lybrate.com has a nexus of the most experienced Dentists in India. You will find Dentists with more than 43 years of experience on Lybrate.com. You can find Dentists online in Ahmedabad and from across India. View the profile of medical specialists and their reviews from other patients to make an informed decision. He has been very friendly and knowledgeble person. My father was suffering from more mouth ulcers from more than 1 year. He gave very good treatment to cure it. Doctor is very good. He listens and discusses the problem and gives sufficient time. Their staff is also very good. My experience was very good. Experience was pretty good. Clinic is very neat and clean. Doctor is very soft spoken. Mouth ulcers are very irritating. They cause difficulty in drinking tea, coffee, eating your meals and at times speaking. Today, let us discuss the most common mouth ulcers called Aphthous ulcers or canker sores. Although the actual cause of these ulcers is still unknown, the following are associated with them. Stress - We have seen that many students suffer from mouth ulcers during exam time. Also, many adults suffer from ulcers when they are tensed for many days. Insufficient Sleep - People who do not take a good sound sleep do suffer from mouth ulcers. Stomach and Intestine diseases - People suffering from constipation or some gastrointestinal diseases also suffer from mouth ulcers. Vitamin B and Folic acid deficiency - An Improper diet which is mainly due to over eating of fast foods and not having a good diet rich in green leafy vegetables often lead to a deficiency of essential vitamins and minerals indirectly causing mouth ulcers. Trauma and food allergy - Injury due to tooth brushing or any hot foods and beverages can cause these ulcers. Also, some people have allergies to certain foods which often cause mouth ulcers. How to manage these ulcers ? These ulcers remain in the mouth for about 7 to 10 days irrespective of any treatment. They heal by themselves. However, the following remedies will help you to heal them a bit faster. Apply honey, catechu or glycerin over the ulcers 5 to 6 times a day. If the burning sensation over the ulcers is more, then apply any ulcer gels available in the medical stores. These are over the counter available gels and will get you relief for some hours. Reduce Stress - A 30-minute walk, exercise, meditation or yoga help to reduce stress and will boost up your immune system. Is there anything serious ? If these ulcers heal by themselves but recur every month or more often, then a definitive treatment is necessary. If your ulcers do not heal in 15 days, then it might be a manifestation of an underlying disease which has to be taken care of. In any of the above condition, visit your dentist or an Oral Medicine specialist at the earliest and take a definitive treatment. I am having toothache since last night and I have used some painkillers yet it is not cured. What should I do? Just taking painkiller will not help. We need to find the cause of pain. Painkiller will only stop the pain for some time. I would advice you to visit your dentist and get the cause treated. When my gums hurted it's starting to bleed. When I brush and brush touch my gums it's starting to bleed. What shouldn't and should I do? Give me some home remedy tips and suggest some medicines. Hi, gum bleeding is a sign of gum disease which is caused most commonly by deposition of calculus on teeth. Rather than trying for home remedies, get a dental checkup done so that gum bleeding can be cured permanently. Regards. Is eating of bread with tea morning time is harmful for teeth?&my teeth r becoming very thin. Hi, it is not at all harmful. If you feel that your teeth are becoming thin, you should visit your dentist to find the cause of it and get treatment accordingly. Regards. I am a 29 years old female and have mouth ulcer for last 2 months. What should I do? Hi, there are many causes of mouth ulcers like stress, trauma, constipation, vitamin deficiency and many more. You can apply mucopain gel over the ulcers for relief. Visit an oral medicine specialist for complete treatment. Regards.